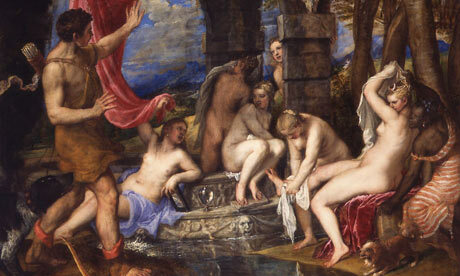 Diana and Actaeon (1556-1559), by Titian, via The Guardian. 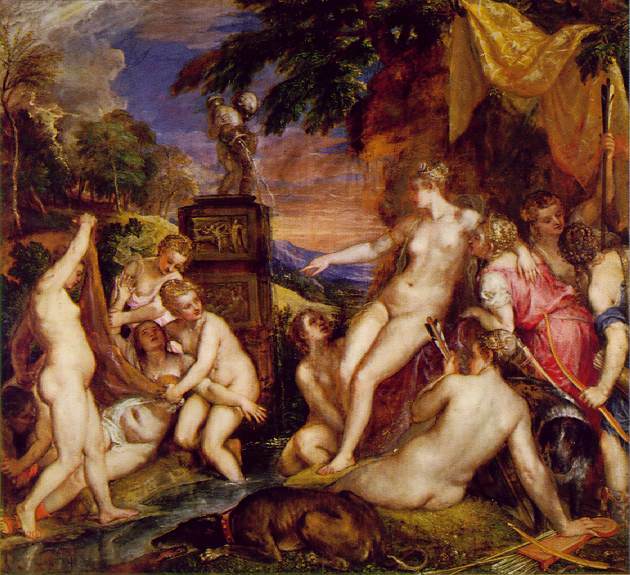 Titian’s masterpiece painting Diana and Acteon (1556-1559) has finally been secured. The five-month campaign to raise £50 million has succeeded. The National Galleries of Scotland and London’s National Gallery made a joint effort to raise the funds. The Scottish government pledged £2.5 million, £.4 million came from public donations, and £2.5 million came from the National Galleries in London. The rest of the money came from the National Heritage Memorial Fund which gave £10 million; the Monument Trust which pledged £2 million; £.6 million came from the National Galleries of Scotland and £1 million was taken from the Art Fund. Such a joint venture outweighs the previous fundraising record of £22 million in 2004 for Raphael’s Madonna of the Pinks. 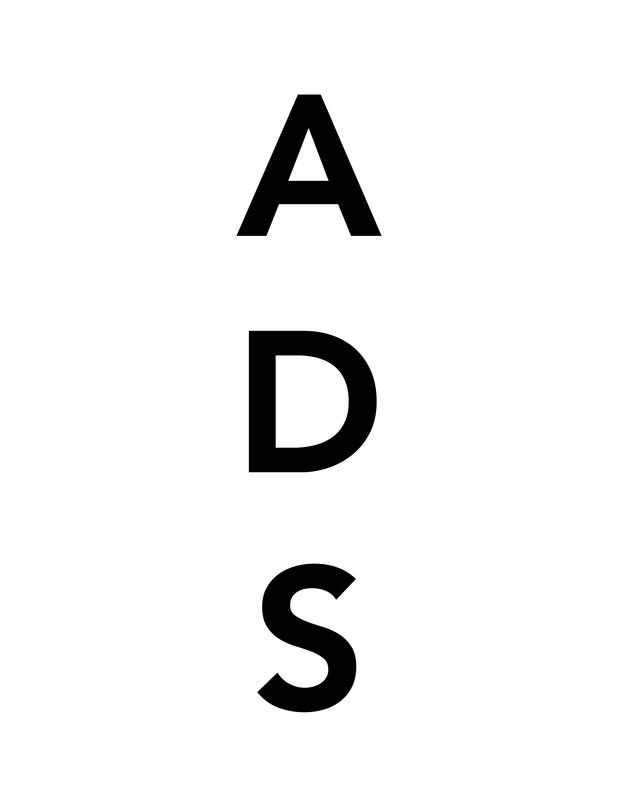 The fundraising campaign had the backing of 40 leading contemporary artists such as Lucien Freud, David Hockney, Damien Hirst, Tracey Emin, and Antony Gormley. Diana and Callisto (1559), by Titian via National Galleries of Scotland. On display for over 200 years at the National Galleries of Scotland in Edinburgh and London, its owner the Duke of Sutherland decided to sell it last summer. Now that the Diana and Actaeon is in the hands of the galleries, another Titian painting, Diana and Callisto, will be sold within the next four years. For artist Antony Gormley, the two Titian paintings are “an inspiration for everyone…a fixed point in the Scottish map of masterpieces,” he said in a recent interview with the Independent. The deal for the two paintings has nevertheless been delayed due to legal controversy when the two galleries attempted to get assurances that would prevent the Duke from putting up any more works for sale during the next 21 years. The two Titian works were made as part of a series for King Philip II of Spain from 1546 to 1559. Together they form part of the Bridgewater collection that has been on loan to the National Galleries of Scotland since 1945. Also part of the collection are three works by Raphael, a Rembrandt, a Van Dyck, and a Tintoretto. Detail of Titian’s Diana and Actaeon, via National Galleries of Scotland. This entry was posted on Tuesday, February 3rd, 2009 at 8:20 am	and is filed under Art News. You can follow any responses to this entry through the RSS 2.0 feed. You can leave a response, or trackback from your own site.